Roots are numbers that make an expression equal to zero. 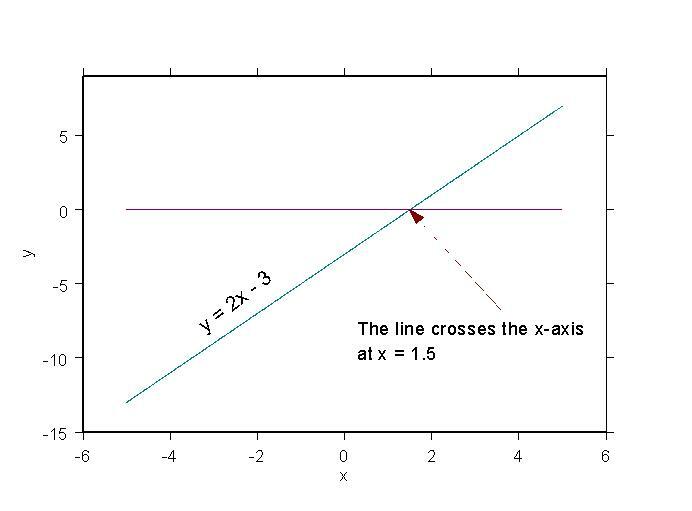 If it's an equation like y = mx + b or y = ax2+bx+c or any other equation involving x and y, the roots are those points where the graph crosses the x-axis. 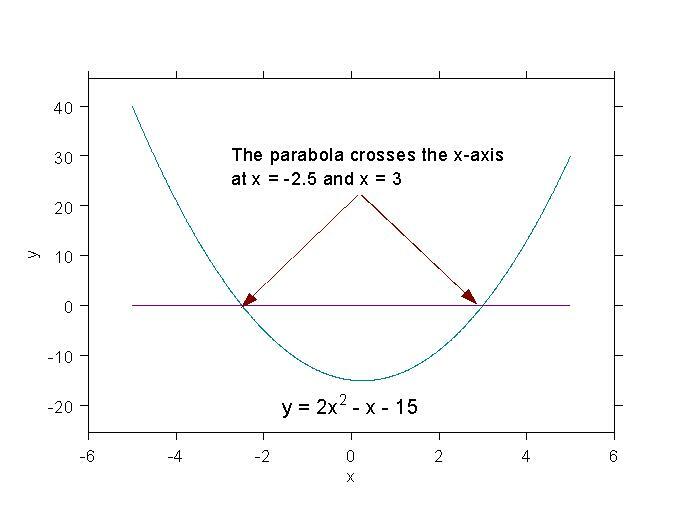 Example 2: y = 2x2 - x - 15. The roots of this equation are -2.5 and 3.